Our minis range from ages 4 to 11 years of age. They play non-contact, flag rugby. 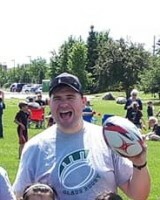 All coaches working are trained and committed to teaching your child rugby and promoting teamwork, fun, and friendship! We welcome any parents who are interested in getting involved with the club on a coaching or volunteer basis. Manor Park 100 Braemar Street Ottawa, Ontario *Remember your cleats, water bottle, suncreen and hat! Rowan's Pitch 692 Longfields Drive Nepean, Ontario *Remember your cleats, water bottle, suncreen and hat! 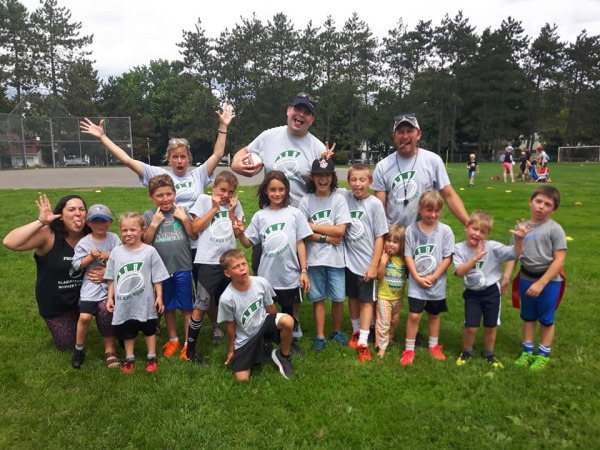 Twin Elm Rugby Park 4075 Twin Elm Road Richmond, Ontario *Remember your cleats, water bottle, suncreen and hat! 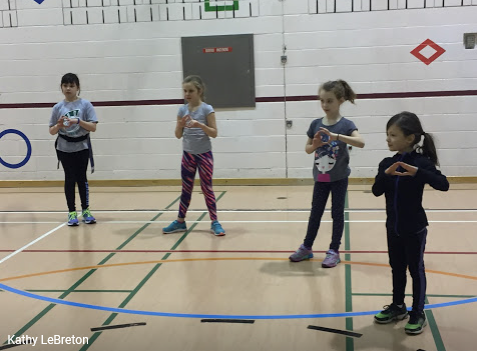 Minis training runs until 26 May at 299 Ernest-Gaboury in Gatineau for children aged 5 - 11 years old. 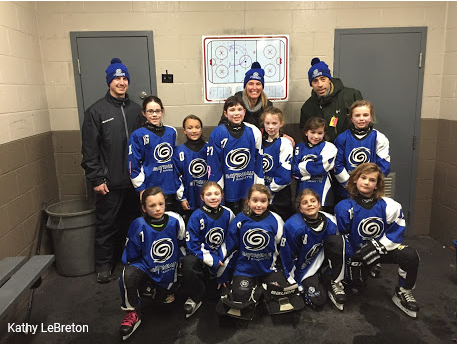 The girls ringette team, Vortex Blue, came out to join indoor training. Most had never touched a rugby ball and it was said that they will return because they had SO much fun! Thank you Vortex Blue and looking forward to seeing you out again each Sunday! 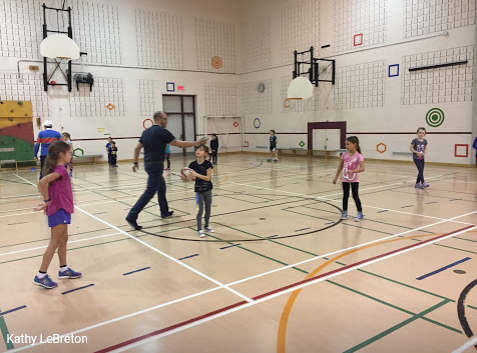 The children learn how to properly place their hands in order to catch a rugby ball. 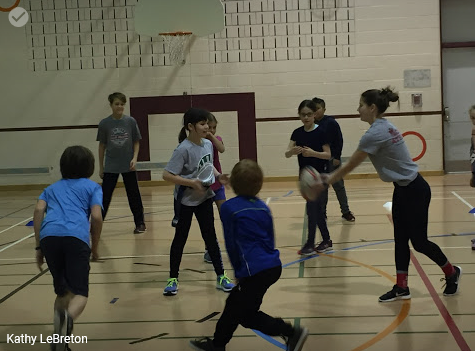 Coach Mathieu and junior player Claudia demonstrate to the children how to throw and catch a rugby ball. While the kids are playing a tag game they learn how to act quickly to tag opponents. Great skills to take on the field once the season starts. The children learn the art of rugby which is running forward to pass the ball behind to your teammate. Claudia, a U17 Glads player, helps a mini put on their flag belt for a fun game near the end of the session.